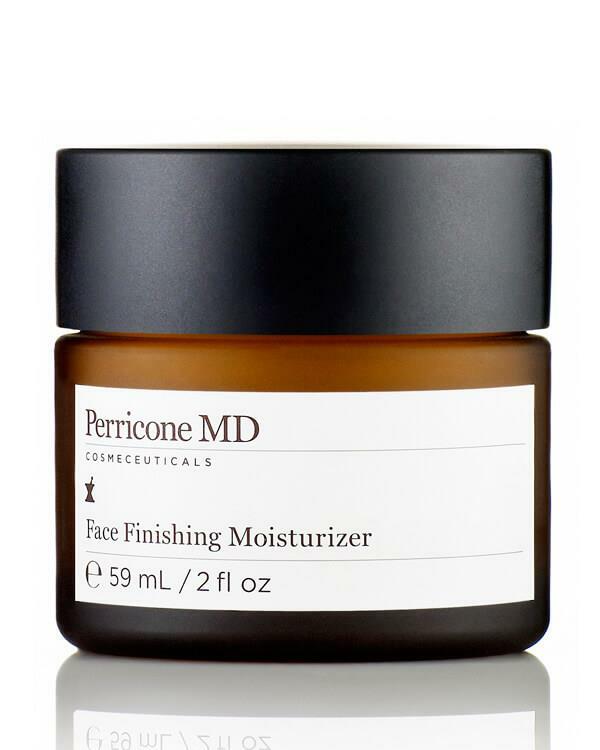 New at COSMANIA: the Face Finishing Moisturizer from Perricone MD! A lightweight, superior facial moisturizer formulated with powerful antioxidants to help firm skin's appearance and minimize fine lines and wrinkles. Face Finishing Moisturizer is rich in texture and feels simply wonderful on the skin, imparting a visibly radiant and smooth appearance. It's formulated with three powerful anti-aging sciences: Alpha Lipoic, DMAE and Vitamin C Ester. Infuses the skin with essential hydration to help minimise the look of lines and wrinkle. This moisturizer is enriched with antioxidants and nutrients for a smoother appearance and imparts an instantly glowing, dewy complexion! Apply Dr. Perricone's Face Finishing Moisturizer to face and neck in gentle circular motions in the morning and evening. Vitamin C Ester: A fat-soluble form of Vitamin C, it's the ideal therapy for sun-damaged skin as it minimises discolouration and brightens its appearance. Ingredients: Aqua (Water), Ethylhexyl Palmitate, Glycerin, Aleurites Moluccana (Kukui Nut) Seed Oil, Cetearyl Alcohol, Polyacrylamide, Polysorbate 60, Glyceryl Stearate, PEG-100 Stearate, Dimethyl MEA (DMAE), C13-14 Isoparaffin, Citric Acid, PEG/PPG-18/18 Dimethicone, Dimethicone, Caprylyl Glycol, Phenoxyethanol, Tetrahexyldecyl Ascorbate (Vitamin C Ester), L-Tyrosine, Parfum (Fragrance), Laureth-7, Hexylene Glycol, Hydrolyzed Wheat Protein, Tocopheryl Acetate, Citronellol, Geraniol, Hydrolyzed Wheat Starch, Thioctic Acid (Alpha Lipoic Acid), Hydroxycitronellal, Butylphenyl Methylpropional, Benzyl Benzoate, Eugeno. Perricone MD was founded in 1997 by leading dermatologist and nutritionist Dr. Nicholas Perricone. Perricone MD develops exclusive, unique and ultra-effective cosmeceuticals based on revolutionary technologies, such as the Cold Plasma Delivery System, DMAE, Alpha Lipoic Acid, Vitamin C Ester, Tocotrienols, Acyl-Glutathione and Neuropeptides. In addition, Perricone MD also offers nutraceuticals, dietary supplements that work on a cellular level to help improve health and skin from the inside out. Dr. Perricone developed the Inflammation-Ageing Theory, which concludes that skin ageing is the result of the continuous, miniscule inflammations that take place on a cellular level. This can be countered by following a three-tiered programme consisting of an anti-inflammatory diet, nutraceuticals and cosmeceuticals. With more than 116 international patents and the publication of countless bestsellers, Dr. Perricone has become an authority in the field of healthy ageing!